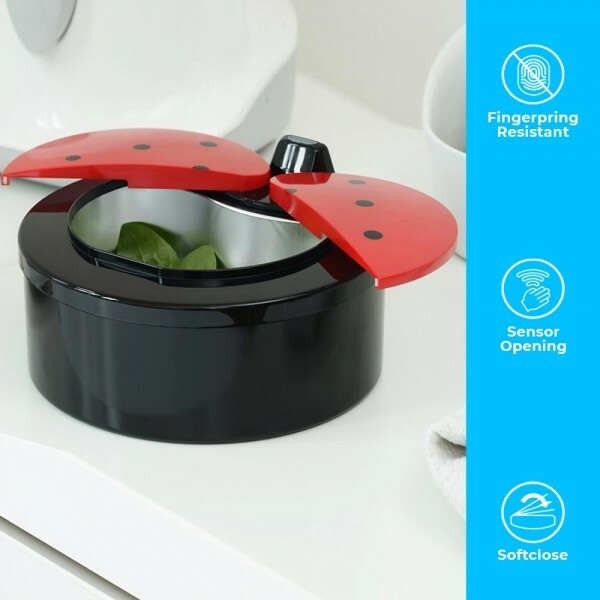 Hands-free sensor activated kitchen worktop bin. The lid resembles a ladybird’s wings – a 2-part lid, each half opening left and right just as a ladybird prepares for flight! When your hand approaches, it opens due to a motion sensor. Once your hand moves away, the lid will close. 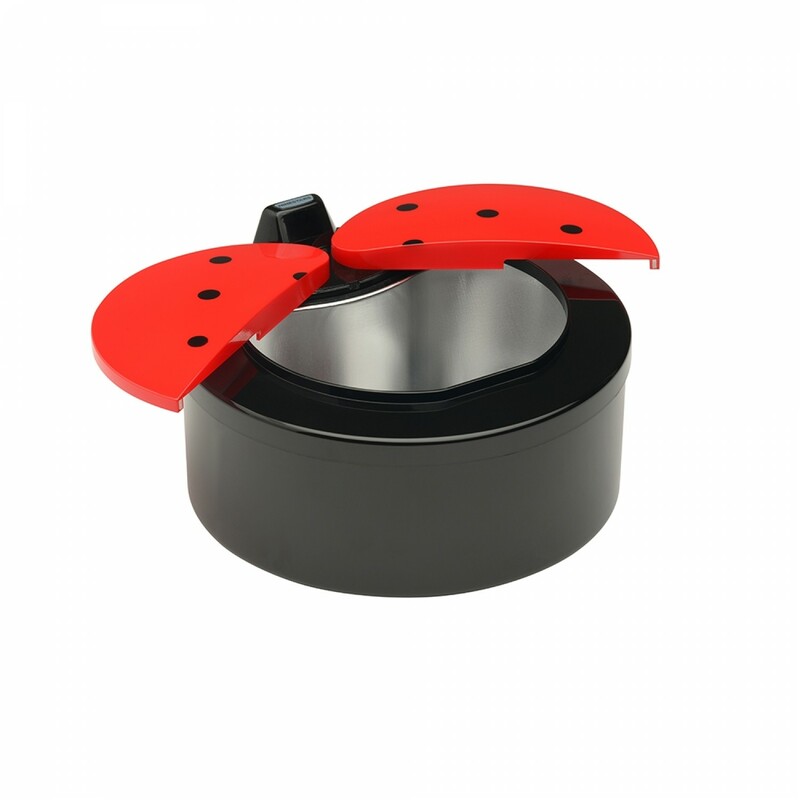 The round ABS plastic bowl contains an aluminium removable inner for emptying, cleaning and replacing. The inner bowl inside the kitchen worktop bin is dishwasher safe making life even easier! 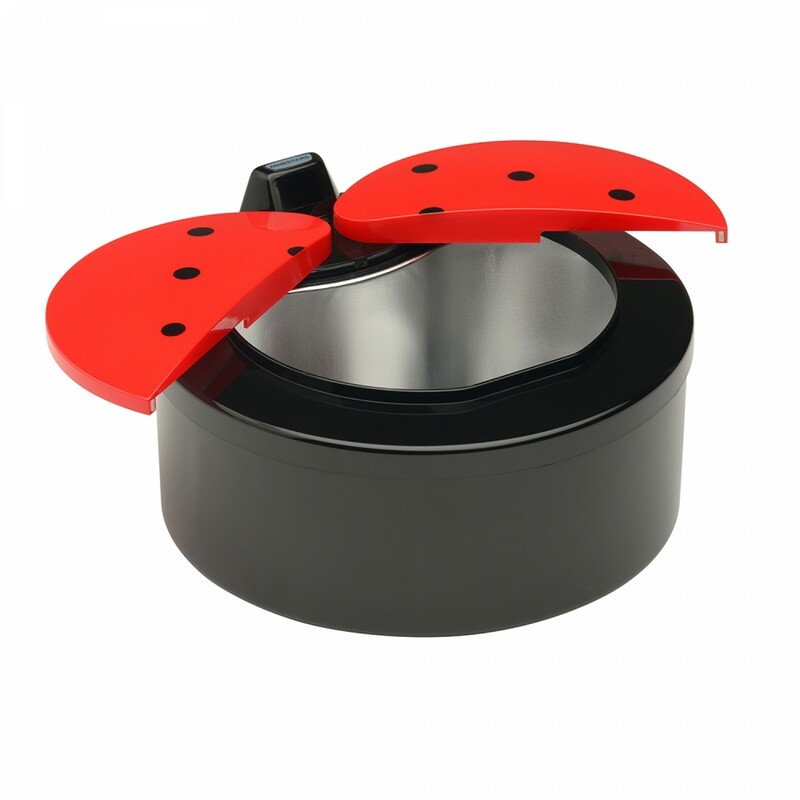 The 2L ladybird kitchen worktop bin is without a doubt one of the most popular kitchen gadgets we have developed. The 2 litre Ladybird is the smallest in the Autobin range. So small that it does not have the look of a bin,it can be utilised as a storage container. Use it for food scraps & peelings, egg shells, tea bags, Coffee pods, stationery table top bin, sweets and snack container – Even as a pet feeding bowl, keep the flies away whilst retaining the freshness of the contents - the list of uses is endless! The lid opens like a ladybird's wings, sideways and in 2 halves. It is sensor activated and runs on only 2 AA batteries. Inside is an aluminium removable bowl which can be put in the dishwasher for ease of cleaning. The mini Ladybird table top bin has multitudes of uses. It is a effective solution for households and professional settings where you want to recycle kitchen waste, a tray placed inside the bin can be emptied and cleaned easily, making it ideal for compostable kitchen waste disposable. 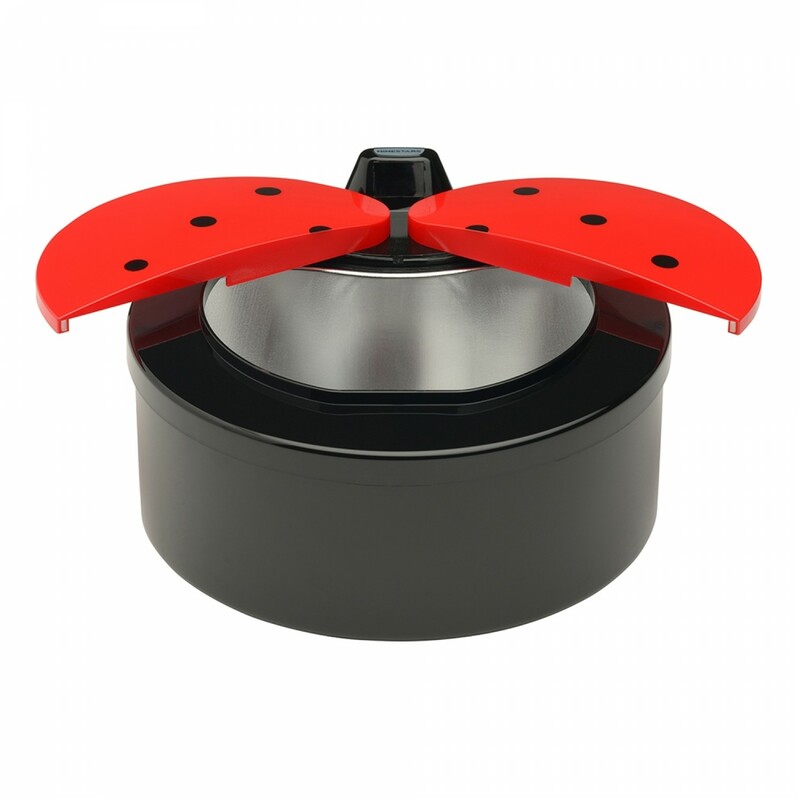 While all the intelligently designed features of the ladybird table top bin make it a great choice, the first thing that will strike you when you see it is how it looks. 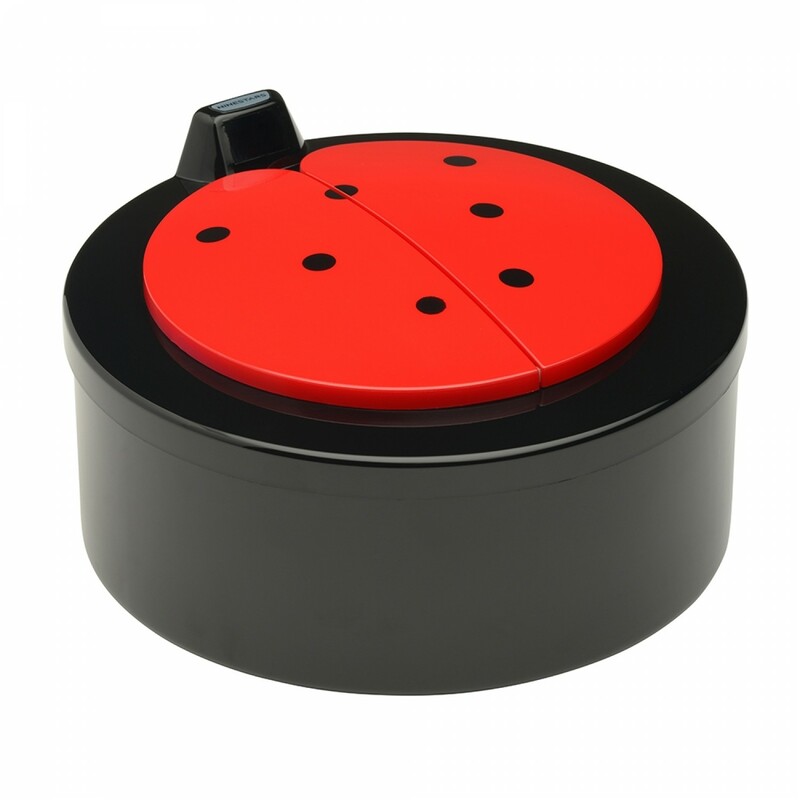 Based on the popularity of our Ladybird style kitchen bin, we decided to go a step further and colour the lid to truly resemble a ladybird! Not only is the lid shaped like a ladybug's wings and movements but it is now finished in red with black spots! Probably the best kitchen worktop bin or Office table top bin you will use or gift someone you love!